Anyone who follows me on facebook would be aware that I am in a group (a very large group) that follow a fun challenge to take a Photo a Day according to a certain prompt given to us by FatMumSlim. Well today's prompt was "To Do List" so I thought I would share one of the things I had on my to list today. We are now heading towards Kalgoorlie but I really wanted to stop off and stay a couple of nights here to see the amazing Wave Rock. 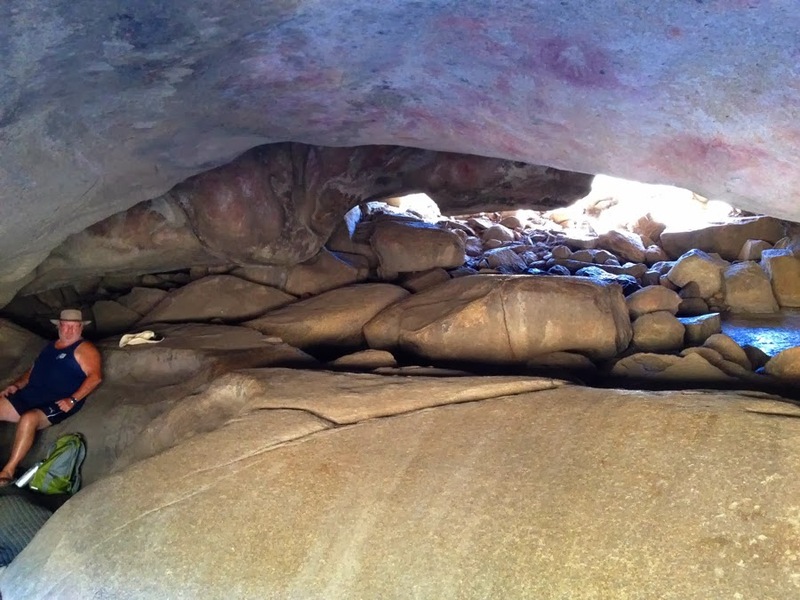 The actual huge rock is called "Hyden Rock and Wave Rock is just a part of it. 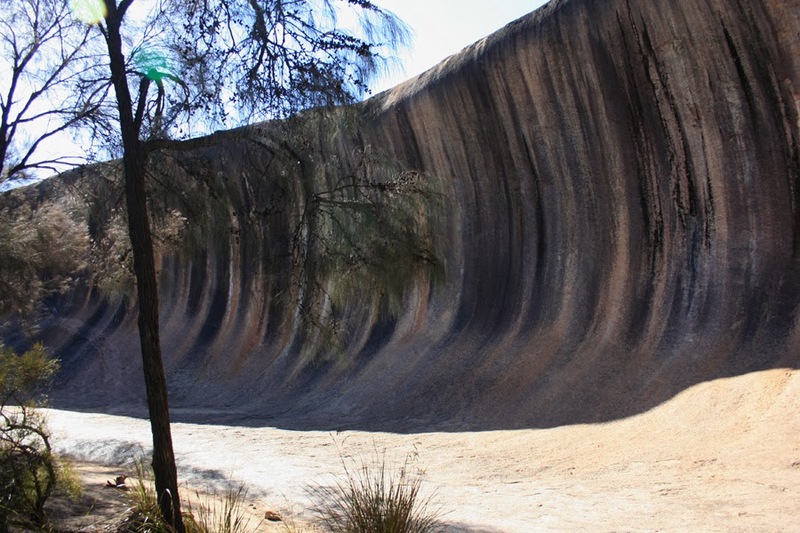 Wave Rock, a granite cliff is 15 metres high and 110 long. It's rounded like shape has been caused by weathering and water erosion which has undercut the base and left a rounded overhang. In 1960 crystals of the wave from Hyden Rock were dated as being 2700 million years old, amongst the oldest in Australia. 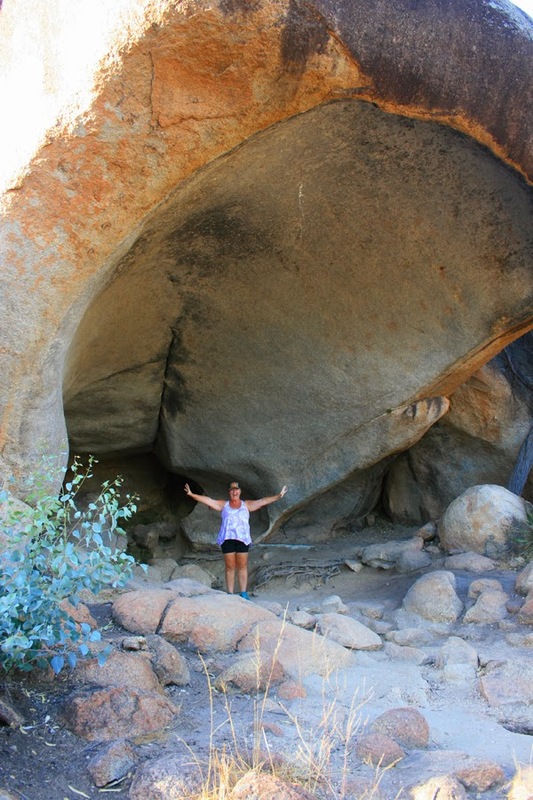 Also around the base of Hyden Rock is another unusual granite formation called Hippos yawn. 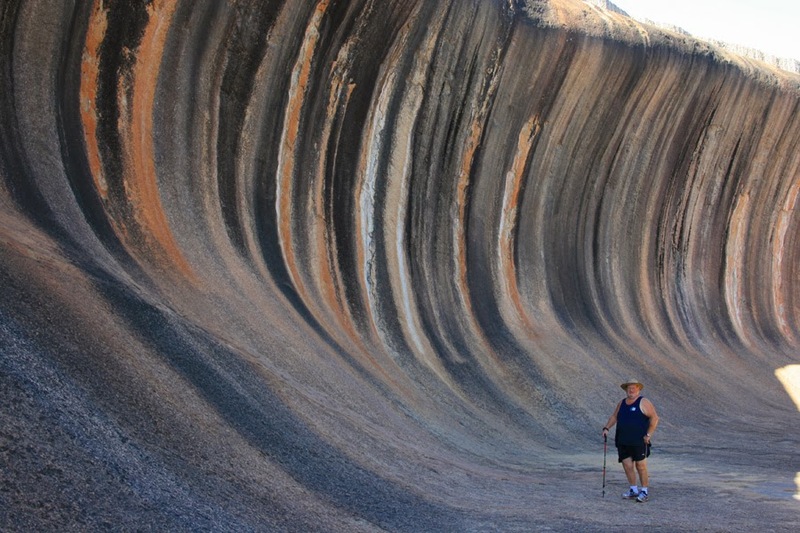 The second most visited site is connected to wave Rock by an easy path through the vegetation. We also went out to visit Lake Magic. 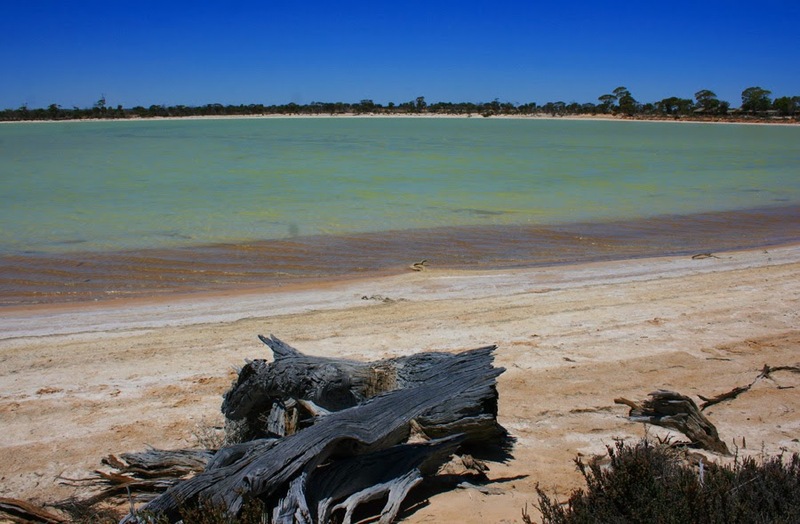 The water of the lake is clear but very salty and the lake base is gypsum which gives the lake a green tinge. Our last venture for the day was Mulkas Cave. 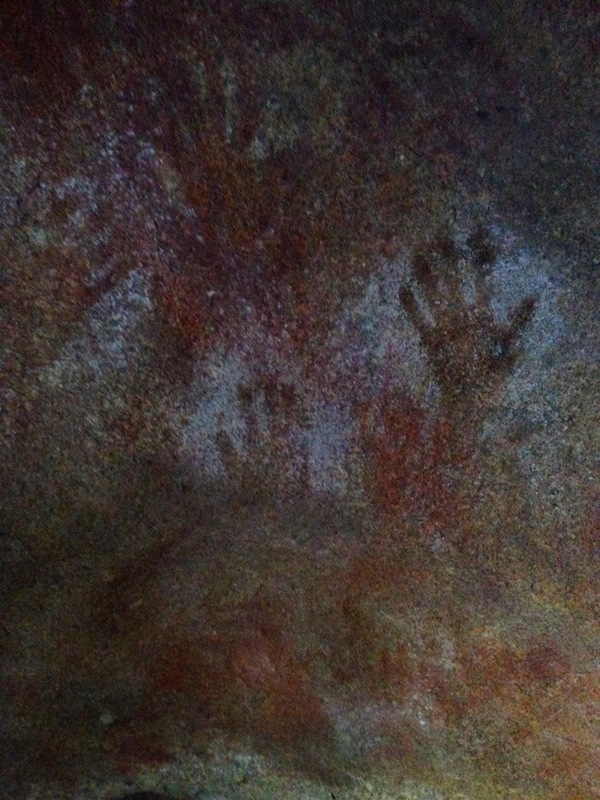 The name Mulka comes from an Aboriginal Legend believed to be associated with the cave. Mulka was the illegal son of a woman who fell in love with a man whom marriage was forbidden. It was believed that as a result of breaking these rules she bore a son with crossed eyes. Even though he grew to be an outstandingly strong man of colossal height, his crossed eyes prevented him from aiming a spear accurately and becoming a successful hunter. Out of frustration, Mulka turned to catching and eating human children, and he became the terror of the district. It was said that he lived in the cave, where the imprints of his hands can still be seen, much higher than that of an ordinary man. His mother became increasingly concerned about Mulka, and when she scolded him for his anti-social behaviour he turned on his own mother and killed her. This disgraced him even more and he fled his cave, heading south. All the Aboriginal people of the district, outraged by Mulka's behaviour, set out to track down the man who had flouted all rules. They finally caught him near Dumbleyung, 156km from Hyden, where they speared him. Because he did not deserve a proper burial, they left his body to the ants; a grim warning to those who break the law. 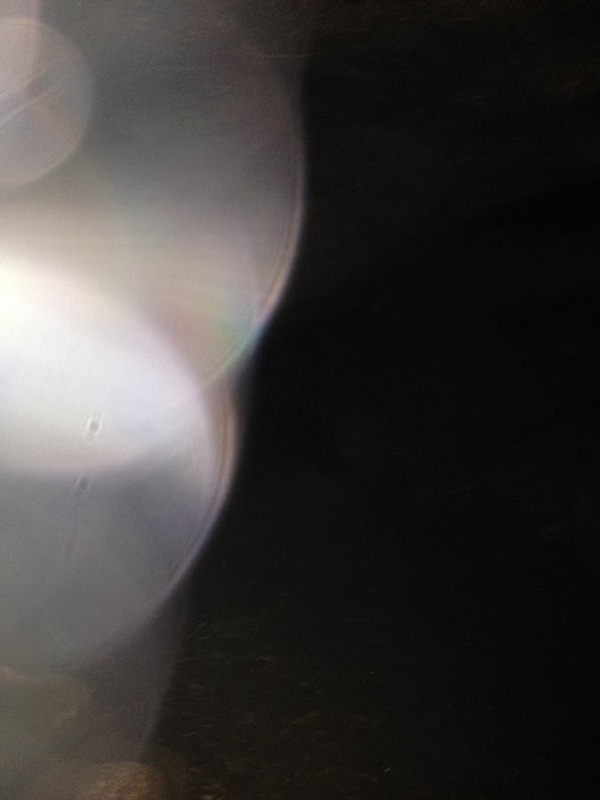 Now a strange thing happened in Mulkas cave. I took quite a lot of photos and they all turned out extremely clear all except the two I took of a hollow heading way back into the cave. Not sure what this is or what was going on but I think Mulka may have been trying to tell me something!! like this or totally blurred! !